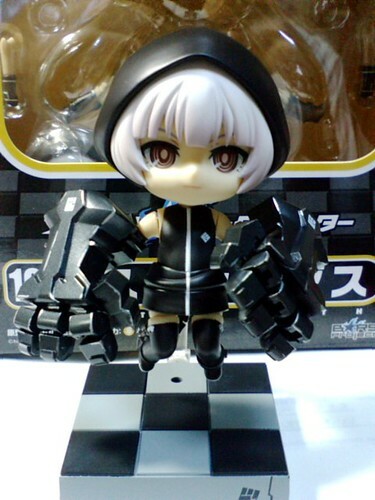 Yes, the long awaited Nendoroid Strength from Black Rock Shooter series is finally released as of today. Yes, the gigantic-arms wielder could be grabbed from the retail stores starting today … and for those who live in Japan can already received theirs if they have secured their pre-orders beforehand. FREEing‘s Nendoroid Yagyu Jubei from Hyakka Ryoran has also been arrived at Japanese figure retail stores starting today. Folks living in Japan who have pre-ordered this Nendoroid, could already get theirs later (or tomorrow). This entry was posted in News and tagged black rock shooter, black rock strength, hyakka ryoran, nendoroid, strength, yagyu jubei.